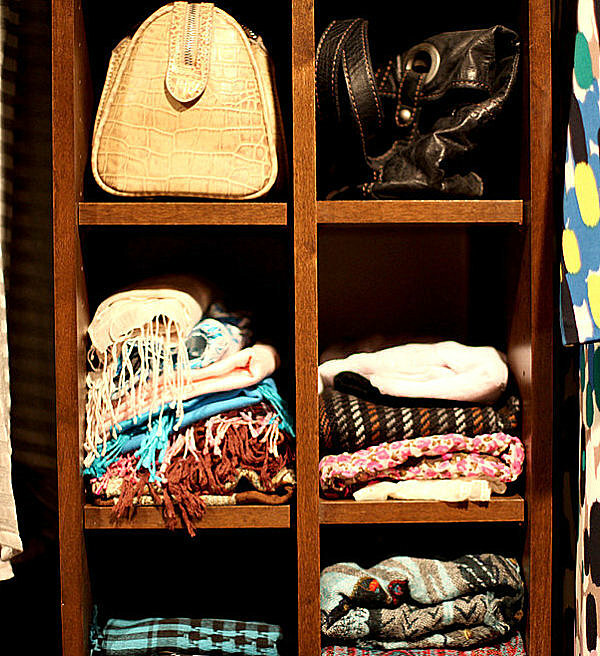 Yes, folks–it’s often about putting those scarves on display so you can truly see what you have. 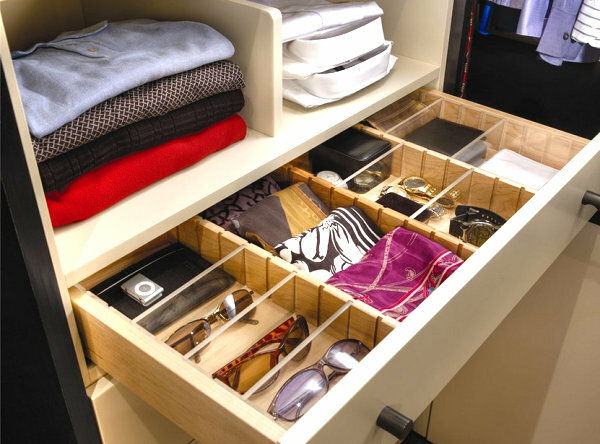 And today I’ve rounded up a slew of ideas, from built-in storage to DIY possibilities. 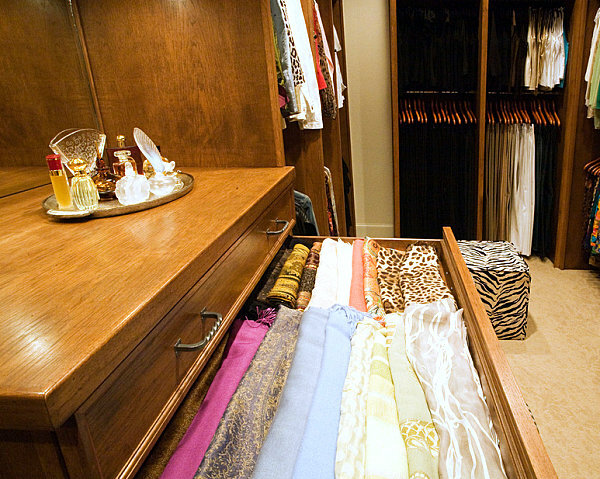 These scarf storage solutions reflect a range of options for every closet size and budget. 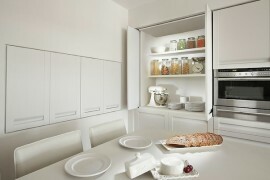 Read on for more details, and then tell us about your favorites at the end of the post. 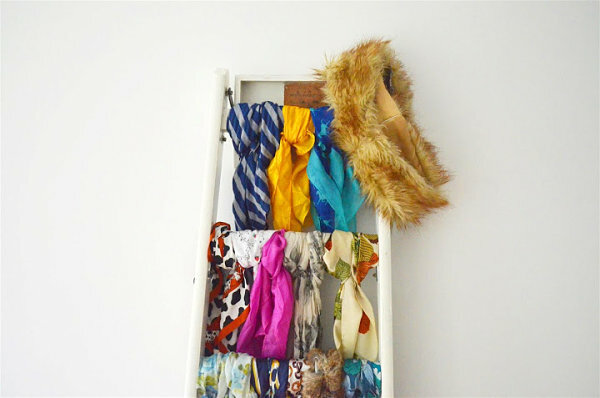 I absolutely love this ladder scarf storage DIY from Almost Stylish. 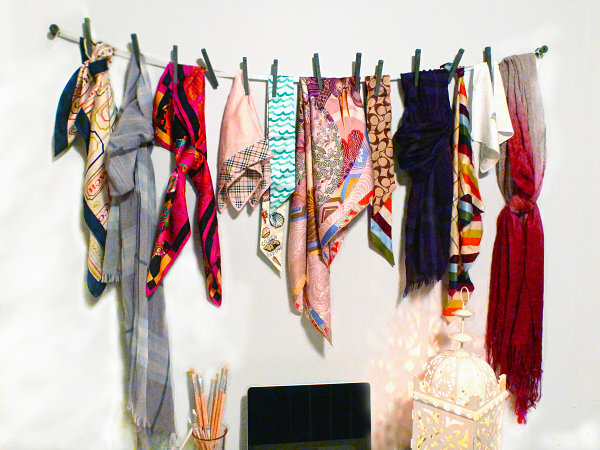 Not only does it provide plenty of room to tie or drape your scarves, it doubles as an unforgettable work of art! Did someone say “work of art”? 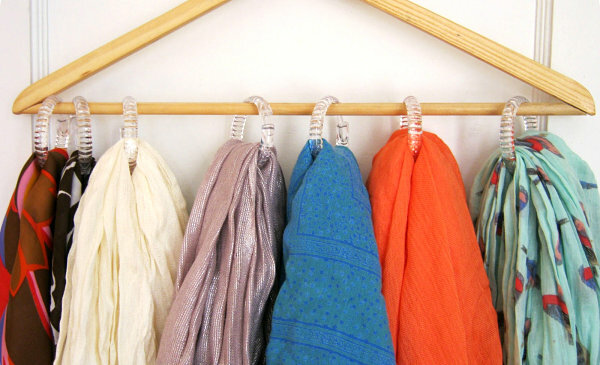 Here’s an other one… It’s a ribbon and clothespin scarf organizer tutorial from Cedarglen Homes! 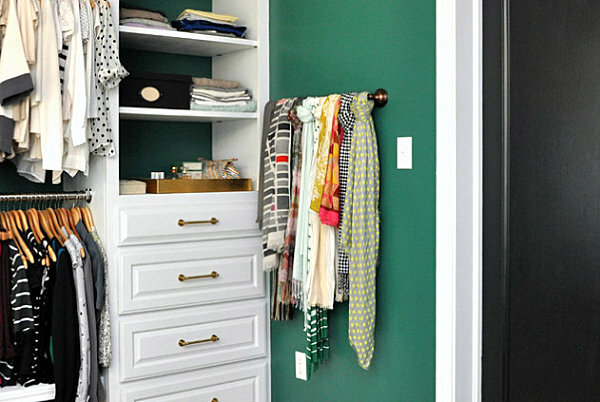 Add some wooden spools and craft paint to your list of supplies, and you have everything you need to create a wall art installation starring your very own scarf collection! 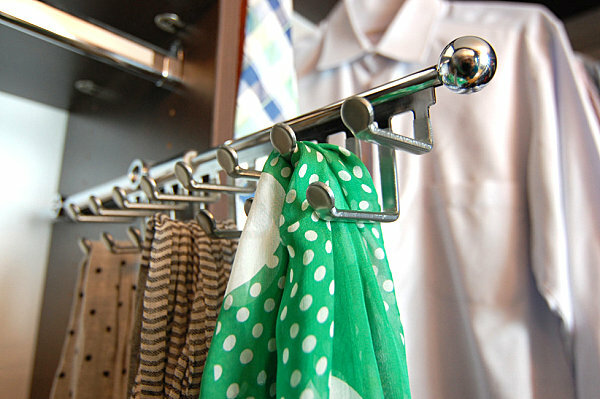 Sometimes one hook is all you need… In the form of a hanger that “hooks” onto your closet rod! 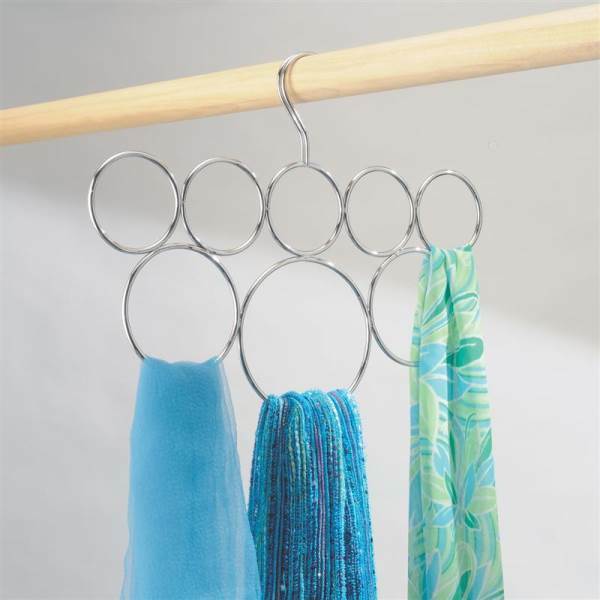 Yet dangling from that hook is a series of loops that are perfect for keeping your scarves in check. 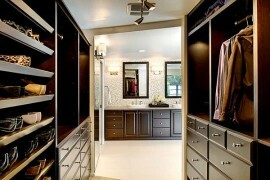 It’s the InterDesign Classico Closet Over Road 8 Loop Scarf Holder in Chrome, available at Kitchen Stuff Plus. And yes, there are options with additional loops if your collection is on the large side!